Now that I am waiting for my new tractor to be delivered I am in the mood to start repairing the 8N. This winter seemed to take a toll on her, I see a few things that were not there last fall. With the flat tire what would my options be? Tube it and leave it without ballast (I am selling this tractor this summer)??? Any suggestions? With the rim, should I sand blast it to clean it up? The (oily) Fluid, what would that be? Clean the rim well after having the tire fixed and paint with a good paint. The oil is probably on the inside and from the axle seal which will affect the brakes. This is typical of old tractors. Should I fix the seal or not? Just hauled the tractor home from the cabin and keep going out to the garage looking at it. I know what is going to happen if I start working on it, I will have more money into it than I will get out of it. I work all day long repairing fixtures on machines, fixing broken tools, and just about anything production can mess up I have to get it back to working order. I thought it would be fun to work on this before selling it but everytime I go out there I keep thinking, "man I do this all day long, why do I really want to work even more every night just to make a few more bucks". I may just take some others advice (here) and get it running good and quit! 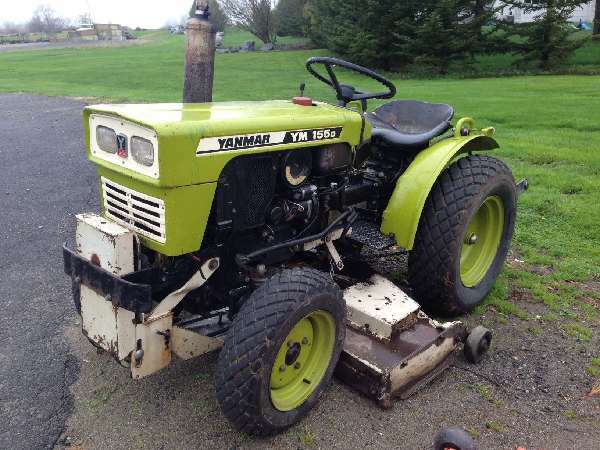 Sell it to anyone wanting a runniong tractoer or a tractor to restore? So what do you think, just repair the tire and get her running ok and list it? One more thing Any idea howmuch they charge (roughly) to tube a tire? Is that the proper way to go? The 9n fetches a very good dollar in any condition. The restored ones are selling for $3500+ around here. I'd just patch the tube that is in it and get it out the door. If cleaning it up and painting will get you a $1000+ more and the paint and parts only cost $500 at most. Other than the time to do it it might be worth it. Chances are if there is rust around the rim the tube will be rusted to it. A new tube will be in order. The can't be to much with out looking maybe 30 to 40 for that size. As is we often only see 2000 as being a selling number. To fix up to be in show quality, there are to many variables and you are better not to touch it and sell as is. History of the tractor and original manuals put additional value on it for a collector. brokenarrow, If you are still resigned to selling your workhorse I would put a new tube in and other than that, fix as little as possible. What I would do is research the prices that the new owner would have to pay to fix any additional problems. And this could be the fun part. If I was buying it and you handed me some reasonable quotes for obvious needed work that would be valuable to me. It reduces the uncertainty in the deal and I would know where to start. That is, keeping in mind that $3500 top dollar quoted by harvey. If the tractor needs $400 in new rear rubber then why finance it for someone else? Do you have loaded tires? It sounds to me that the fluid could be that. That stuff rusts the rims quite bad. That happened on my MF135 and rusted the stem right out of it. The inner tube was rusted and melted to the rim and looked allot worse inside than out. An off brand rim isn't that expensive but does cut into the profit from the sale. It definitely is a toss-up, since once you get started where do you stop if you just want to sell it. Yes that is it, being a toll and die maker I tend to over do jobs (tolerances and appearence). That is exactly what I am affraid of if I start a job like this. A old farm boy I work with has offered to put the tube in for me and also said I should take the rim and clean it up before putting the new tube in. He also stated the same as you guys, the inside will be just as bad if not worse. Should I plan on sand blasting the rim while the tire is off? If so, is it ok to blast the inside of the rim also? Now comes the technical question, If I replace the right tire with a tube and no ballast, should I do the same to the left or leave it alone? They both are loaded (or were) I was thinking it probably would not be too cool to leave one empty and one full.?? Or is that ok? Thanks again I think I will be replacing the wiring harness, replace all the hoses, a few of the electrical (starting) components, (I already have a few new items on the tractor already from the last few years) I need to replace the two gauges that are broke and very ugly looking. Other than that, I had already rebuilt the carb 2 years ago ,new battery 1 year ago along with cleaning the gas tank and new glass bowl. WOW I will stop here with everything I replace in the last few years before I decide to keep it. I will feel better about selling it if I do the things I stated, I actually already have a few bites ( people hinting they may be interested) and only a few guys know I brought it back home. The key is not to sell it to a friend or someone I know, If they get it looking beatiful I will be jealouse and if they have all kinds of problems with it I will feel responsible. The guy that said he would fix my tire? I have done many machining jobs for him in the past, so I guess he is paying me back, just like the old days?